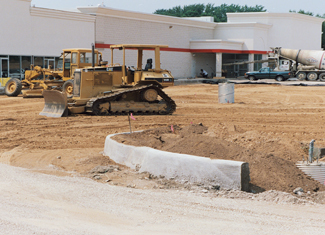 KS Associates provides engineering solutions for all types of site development projects including commercial, institutional, and residential projects. We assist clients through all facets of projects, from due diligence studies and planning to design, cost estimating, permitting, and construction-related services. Our engineering team is skilled in assessing the benefits and risks associated with site development projects, helping clients overcome challenges and capitalize on opportunities. Our engineers can address site-related engineering issues including stormwater management, utilities, environmental issues, wetlands, zoning, flood plains, and construction processes. KS Associates also helps clients understand and work through the regulatory approval process. We can represent projects at public meetings, helping all project stakeholders understand the goals and visions of the project, and the benefit it will bring to a community.